Kenya Believe These African Travel Myths? Africa is a large continent filled with dozens of countries, thousands of languages, and countless landscapes. Unfortunately, many travelers are unaware of these common facts and choose to believe popular myths perpetuated by cinema and media. Keep reading to learn the truth behind certain African travel myths. Myth #1: Africa is one big country. Many people classify Africa as one big country when it is actually a large continent made of many countries. Visitors often confuse these countries—like South Africa, Kenya, and Namibia—for states or territories. In reality, Africa has 54 recognized countries and multiple territories that are governed by non-African countries. Myth #2: Africa only has wild animals and open plains. When travelers picture Africa, they likely think only of safaris, grassy plains, and huge African wildlife. While these are true sights, and make up much of African tourism, they are not the only attributes Africa has to offer. There are huge cities, mountains, forests, beaches, and so much more to see when visiting African countries. Myth #3: Africa has only hot and sunny weather. 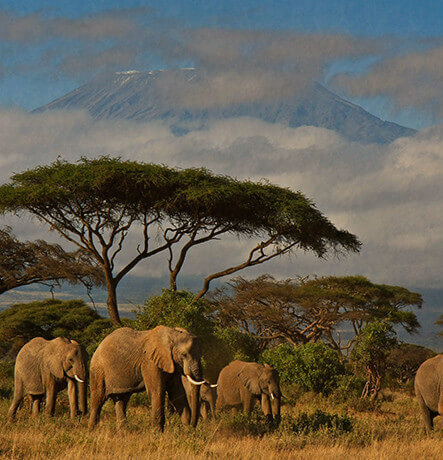 Along with wild animals and African safaris, travelers often picture Africa as a hot and sunny desert. Africa is home to the largest desert in the world, the Sahara, but it is also a large, expansive continent. There are multiple environments and weather patterns all over Africa and throughout the year. Travelers should research the time and place they wish to visit to ensure the weather will be appropriate. Myth #4: African people do not speak English. Due to Africa’s many countries and various cultures, there are over 2,000 spoken languages on the continent. Among these languages, English is an official language in at least 24 African countries. It is also taught in schools all over the continent. Don’t let travel myths stop the adventure of a lifetime; work with DSA Vacations to experience the many countries, cultures, and landscapes of Africa. Visit us online or call us at 1-800-203-6724 to speak with our qualified travel specialists.